Agricultural Bank of China is trying to track down $595 mln missing in Beijing. Though it’s a tiny fraction of the state-owned behemoth’s balance sheet, suspected embezzlement is another reason to doubt risk controls. The only benefit is that expectations are already low. A road sign is seen in front of a sign of Agricultural Bank of China at its branch in Beijing April 23, 2013. Agricultural Bank of China said on Jan. 25 it was working with police to track down 3.9 billion yuan ($595 million) in a suspected embezzlement case. In a statement to the Hong Kong Stock Exchange, China’s third-largest bank described the alleged fraud as a “material risk incident” and said it was working the public security bureau to “safeguard the security of the funds to the greatest extent”. The investigation is focused on two junior employees who are alleged to have sold bills of exchange – a form of paper bills which work much like post-dated cheques – and invested the proceeds in the stock market, top finance magazine Caixin reported. The bills were sold on to a bank in Chongqing which then resold them to a third bank. The ruse unraveled when share prices plunged last summer, Caixin’s report said. Standard and Poor’s said the fraud case would have no impact on the bank’s credit rating as poor risk controls at Chinese banks were factored into its ratings. 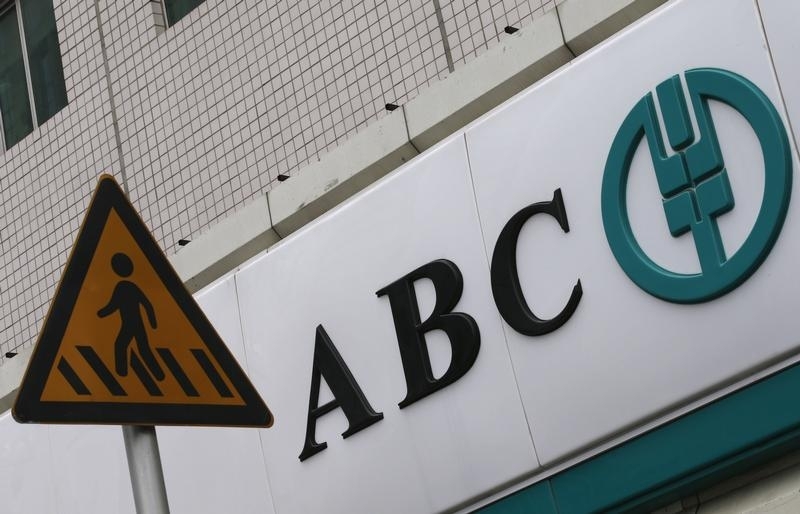 “While this incident may call into question the effectiveness of ABC’s internal controls, we view corporate governance and transparency in the Chinese banking industry as a weak spot and have already factored this assessment in our banking industry country risk assessment on China. We also noted ABC’s patchy track record in this regard, particularly before its financial reform in 2008,” S&P said in a statement. Agbank’s Hong Kong-listed shares fell 2.9 percent on Jan. 25, but were up 0.37 percent at HK$2.7 in mid-morning trade on Jan. 26.